Irvin Gunawan — the founder of Irvins Salted Egg snacks — has not shied away from the controversy over a viral post claiming that a deep-fried lizard was found inside one of his products. 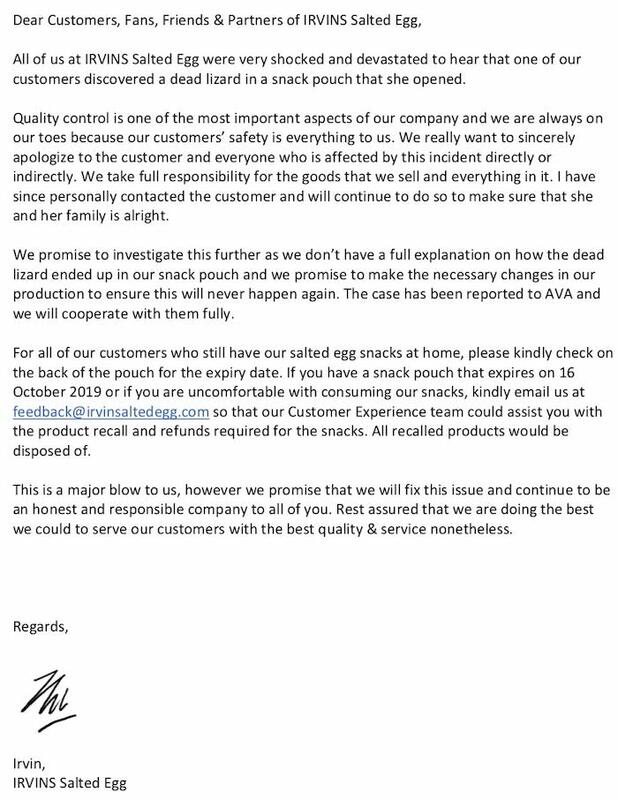 “All of us at Irvins Salted Egg were very shocked and devastated to hear that one of our customers discovered a dead lizard in a snack pouch she opened,” Gunawan wrote in a statement, assuring that the company will be cooperating with the Agri-Food and Veterinary Authority of Singapore (AVA) in its investigations. 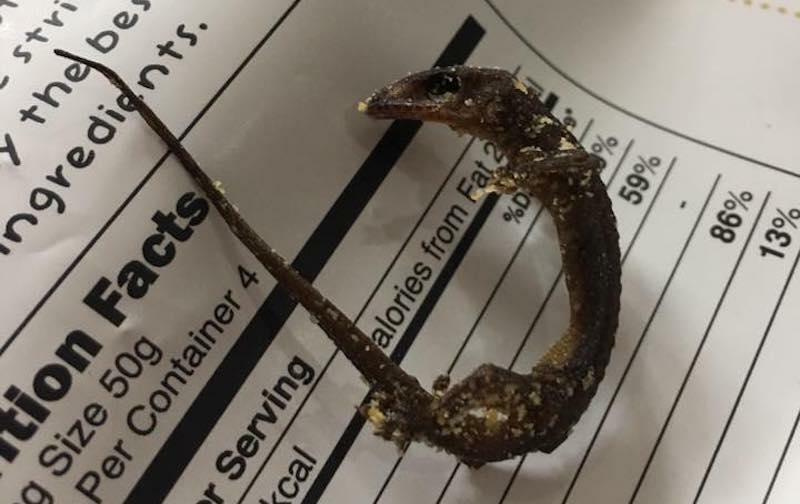 The statement arrived days after Facebook user Jane Holloway recounted how her brother and mother came across a rigid, salted egg-coated corpse of what appears to be a common house gecko inside a pack of Irvins Salted Egg Fish Skin. The viral post certainly put off a lot of people from the popular snack brand — something that Gunawan is determined to change. “We really want to sincerely apologize to the customer and everyone who is affected by this incident directly or indirectly. We take full responsibility for the goods that we sell and everything in it,” he wrote. The 32-year-old tidbit mogul added that he does not have an actual explanation about how the lizard ended up in the bag, but promised that his company’s production process will be improved to ensure that the incident will never happen again. “I have since personally contacted the customer and will continue to do so to make sure that she and her family is alright,” he assured. He also invited customers who’ve already bought Irvins Salted Egg snacks but are hesitant to consume them to contact the company so that the team can assist with refunds. According to a profile piece on The Straits Times, the Indonesian-born founder started selling home-made salted egg snacks in 2014 following a series of failed restaurants. The brand has since gotten massive enough to have 13 outlets spread across Singapore, Hong Kong and the Philippines. This article, ‘We take full responsibility’: Irvin of Irvins Salted Egg on crispy lizard found in a snack packet, originally appeared on Coconuts, Asia's leading alternative media company. For more Coconuts stories, you can download our app, sign up for our newsletters, or follow us on Facebook, Twitter, and Instagram.